Austin City Lofts | Search Austin City Lofts For Sale! A taste of contemporary urban living in downtown. 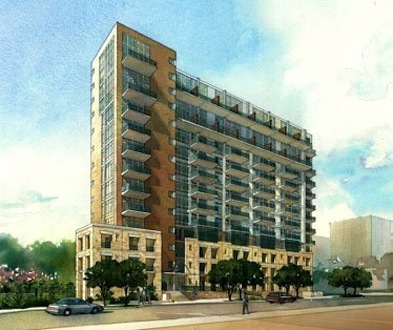 Since its completion in 2004, Austin City Lofts Austin Tx has been offering Downtown Austin dwellers the luxury of contemporary living in a phenomenal 14-story loft-style condominium amidst a multi-faceted and peaceful community. Matched with the most unprecedented location among Downtown Austin Lofts, sitting on top of the Shoal Creek Greenbelt near the Whole Foods Flagship Store, Austin City Lofts lies only a few blocks away from the entertainment area known as the Warehouse District. Shopping malls are at the west end while a short jog away is the famous Town Lake Hike-and-Bike Trail. On top if this great location, Austin City Lofts for sale in Austin is a mixed building with elegant two-story loft-attic homes and 82 luxury lofts perfect for the start-up family or the independent go-getter. Choose from a variety of one-bedroom, two-bedroom, and penthouse units of classy architecture. Austin City Lofts Austin Tx features an exclusive lap pool and spa, a garden, a communal cooking area and indulging private balconies that are large enough to take a wondrous view of the Hill Country and the entire downtown vicinity. Other high class condo amenities include an on-site secured parking area, resident support, and 24-hour concierge service to make residents feel the utmost comfort. Austin City Lofts prices range from $325K to in excess of $2.0M with unit sizes ranging from 1,049 to 3,049 square feet. Residents are presented with top of the line in-room facilities which include hardwood and exposed concreted concrete floors, maple cabinetry, granite kitchen surfaces, and trendy appliance packages. The spacious deluxe bathrooms have granite counter-tops, over-sized showers, and whirlpool tubs.